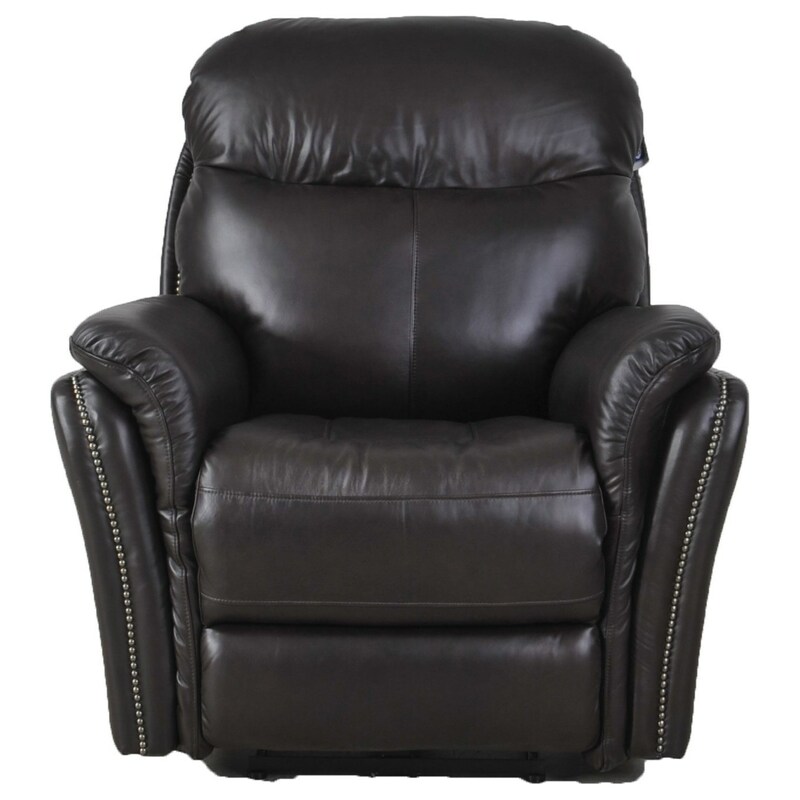 Kick back and enjoy your evenings at home in this electric recliner. Pillow arms and a full chaise cushion offer a quality combination of support and comfort that will make relaxing even easier. The power reclining mechanism puts you in control of the the impressive positioning that this recliner has to offer. The E1309 Transitional Electric Recliner with Pillow Arms by Futura Leather at Zak's Home in the Tri-Cities, Johnson City, Tennessee area. Product availability may vary. Contact us for the most current availability on this product. Come home and relax on any of the pieces of this power reclining upholstery collection. Pillow arms and full chaise cushions provide both comfort and total body support to help you get the most out of your time at home. The clean, contemporary look of the collection is accented by nailhead trim to convey a more transitional style. Power reclining mechanisms allow you to easily recline and find the perfect position to relax in. The E1309 collection is a great option if you are looking for Transitional furniture in the Tri-Cities, Johnson City, Tennessee area. Browse other items in the E1309 collection from Zak's Home in the Tri-Cities, Johnson City, Tennessee area.